The UA Little Rock Dance program offers the only Dance BFA degree in the state of Arkansas, access to training from world-recognized faculty and guest artists, and numerous opportunities for connections to the professional world of dance across the country. Our students immerse themselves in rigorous technical training, performances in both theatre and dance, off-campus, touring opportunities throughout the region with the department dance company, and challenging theory and design courses to integrate a fuller understanding of dance as a performing art. At UA Little Rock you will experience a supportive environment to fully evolve your goals as a performer, choreographer, teacher, studio owner, arts administrator, designer, or several other related career options. Each student is guided by faculty mentors and advisors to help them uncover a path for success in the area of their personal passion. Whether a student’s dream is a performing career, graduate school, or a double major in another field of interest, we believe in exploring diverse viewpoints, the importance of the learning process, and stretching the boundaries of both the individuals and art form. Additionally, we offer a B.A. in Dance. The Bachelor of Arts in Dance is a four-year liberal arts degree. In keeping with the University’s mission, the program provides excellent training and education in dance as part of a broad-based liberal arts education. 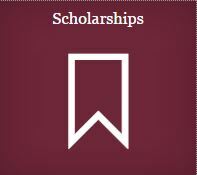 We offer a broad range of scholarships in theatre and dance.